코파카바나 해변 바로 앞에 위치한 Rio Othon Palace는 아름다운 슈가로프 산이 보이는 옥상 수영장을 보유하고 있습니다. 3층에서 탁 트인 바다 전망을 감상하며 조식을 맛보실 수 있으며, 숙소 전 구역에서 무료 Wi-Fi가 제공됩니다. Rio Othon Palace의 각 객실은 에어컨, 발코니, 케이블 TV, 미니바를 갖추고 있습니다. 일부 객실에는 바다 전망, 별도의 휴식 공간이 마련되어 있습니다. 구내 주차장은 가능한 경우에 한해 제공됩니다. 30층에 위치한 Skylab Restaurant and Bar에서 브라질 요리, 세계 각국의 요리, 매주 토요일 전통 페이조아다를 맛보시기 바랍니다. 도보 거리에 자리한 각종 상점과 레스토랑을 방문해보십시오. Rio Othon Palace는 칸타갈루 지하철역에서 450m, 코파카바나 요새에서 1km 거리에 있습니다. 산토스 두몽 공항은 11km, 갈레앙 국제공항은 23.8km 떨어져 있습니다. 유아용 침대, 엑스트라 베드, 침대 유형 등 모든 별도 요청은 Rio Othon Palace로 직접 연락하셔야 합니다. 체크인 시 이용 가능 여부가 확정되며, 가능한 경우에 한해 제공됩니다. 총 객실 요금에는 도시세(1박당 BRL 7)와 서비스 요금(총 금액의 10%)이 포함되어 있지 않습니다. 해당 요금은 호텔에서 직접 결제하셔야 합니다. 지정된 기한 이후에 예약을 취소하는 경우 또는 노쇼 시 호텔은 첫 1박 요금과 10%의 서비스세를 청구할 권리를 보유하고 있습니다. 외부 피트니스센터 이용 시 추가 요금이 부과됩니다. 방탄차, SUV 및 대형 차량은 주차장을 이용하실 수 없습니다. 18세 미만의 어린이 및 청소년은 신분증을 제시해야 하며, 부모나 법적 보호자를 동반해야 합니다. 그 외 다른 사람과 여행하는 경우에는 법원의 허가서를 제시해야 합니다. 주차 공간은 도착 시 가능한 경우 추가 요금으로 이용하실 수 있습니다. 장갑차량, 1.85m 이상 높이의 차량, 오토바이 또는 모든 종류의 이륜차는 호텔의 전용 주차장에 주차할 수 없습니다. 지방자치법에 따라 비치 의자 및 파라솔 서비스는 가능한 경우에 한해 제공됩니다. 늦은 체크인은 가능한 경우에 한해 제공되며 BRL 230의 추가 요금이 부과됩니다. Great, grat location for the New Year's evening, the fireworks were just in front of the hotel. Very kind, helpful and friendly staff, always ready to help you with anything. Gorgeous view of Copacabana and the surrounding beauties from the top of the hotel. Opulent and delicious breakfast. Most landmarks, grocery stores and gift shops are near by. Definitely will recommend the place and will come back again, despite the little higher New Year's eve rates, which is understandable since Copacabana is one of the most beautiful experiences in the world! Muito obrigado! 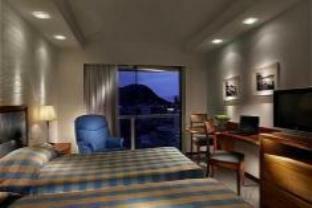 The facilities were very nice and the staff helpful and friendly. The location on Copacabana beach is great. If you need help seeing the sights or getting local info, just go around the corner to the Blame it on Rio Travel on R. Xavier da Silveira street and talk to Bobbie, who's just fabulous. Cozy hotel. Very well located, near shops, restaurants, and the beach. Good business center on the 3rd floor (Forget about the one on the 27th floor unless you have a corporate rate with them). My room had a beautiful view of Copacabana. Very slow expedition and not friendly staff. Generally the hotel need upgrade as it looks very old and not maintained. There was no bar only a table in the reception called a bar. You need to pay for car parking and to use the gym so you need to add this to the daily cost of the room witch make it no value for the money. at first, i was afraid to stay in this hotel, i was very surprised, they gave me a room on level 18 (i stayed for 7 nights. 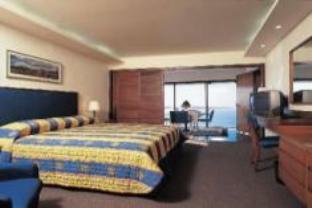 my room facing eastern side of copacabana. i could see very beautiful sunrise everyday just from the balcony of my room. 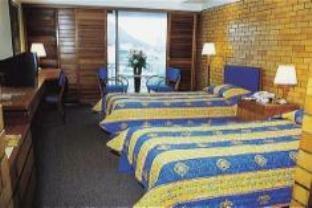 it is easy to access copacabana beach and walking around. the staffs were also helpful. i think they have made some renovation to the room. it was clean and comfortable. the restaurant for breakfast on 3rd floor has also very good view and good food. i absolutely will stay here again if i have chance to go to rio again. rooms were great, big beds, clean and good cleaning. By contrast, to take 10% tip on a hotel room, I was not OK. I really liked our stay at the Othon palace. Nice pool at the roof but to few sunbeds for 600 rooms. The way they put on 10%tips on the the room was in my eyes not OK. It is an expensive place to stay at and you tip for everything else you buy there. Breakfast was good, not amazing but good. Would stay there again.